Provide timely and comprehensive information to chapter members about programs, workshops, and other matters of interest via chapter newsletter. Recruit assistance from the membership and the Board for articles, survey questions, etc. Compile and edit final copy of the newsletter. Coordinate design and layout with external provider (currently Aspect Marketing and Communications, Inc.). Establish a reporting network, plan issues, and write the final copy (or edit copy supplied by others) for each issue. Coordinate production of the newsletter and production schedule. Ensure that issues go out on time. Periodically (e.g. every 2 years) survey membership regarding newsletter content, design, frequency, etc. to ensure appropriate responsiveness. Contribute or solicit from membership a professional development article for each issue. Provide monthly updates at the Board of Directors meetings. Participate in the development of short-term and long-term strategic planning for the chapter. 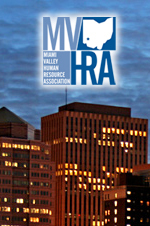 Member of MVHRA and SHRM.